57-1549 k & n 57i generation ii performance kit for jeep order. This product page has been automatically translated. If you have any questions, do not hesitate to contact us. Generation 57-1549 k & n 57i performance ii kit for sport air filter jeep order bj. 2006-09 of the open filter. Manufacturer: jeep order year of construction: 2006-09 engines: the effect: significantly reduces the resistance of air in the system more power approval: on public roads are not not allowed! Generation k & n 57i performance ii kit for jeep order. the. Significantly reduces the air resistance in the system more power. Not allowed on public roads. Almost nothing can bring so much power for so little money, like a 57i K & n performance kit. 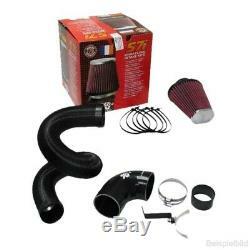 This kit replaces the original filter box and reduces the resistance of the air in the intake dramatically. A quick look under the bonnet of modern vehicles with fuel injection system is enough to realize that the air supply is inhibited by the unnecessary ways and angles. The necessary air ducts just suction and a filter that allows this air without much resistance. Just a k & n. The success of the 57i is the development kits. With special equipment, measured airflow and determined on the basis of these data, the right filter size. Dynamometer tests conclusion so not only the best performance, but it is placed value on the torque curve, response and economy. All 57i kits are designed for the life of your car. The kit includes all necessary screws and brackets. Partly with the new intake pipe or hose. A cold air system, if necessary, is the most standard kit. Includes washable and reusable k & n baumwolluftfiltern. We evaluate our system automatically either after payment of the item and the removal of its positive balance sheet with 5 stars, automatically receives a positive evaluation of our system. Their fair valuation is important to us! The satisfaction of our customers is our goal, which is why, for us, it is very important to solve every little problem for you before you from negative-, neutral- or less comments leave one as a 5-star. There is a solution to almost any problem - a bad rating all helps more. We try to offer new offers that we think you could this interressieren. A look at our online store! Please read the descriptions and instructions carefully. The list of vehicles using is for information purposes only and may contain errors! For any questions, our service team is available on weekdays from Monday to Friday 09:00 17:00 available. We offer you the opportunity to give up their orders as a merchant, quickly and easily in our online store. Shipping to your Debay customers (saving storage and shipping costs). History of the issue can be found through a registered tracking number with link. Question: can I pick up my article at bms racing at moers itself? Answer: yes, but please contact us before to make an appointment. many items in germany are sent free, but nevertheless drop shipping, packing and work costs with us! We have many items you keep in stock. We keep a very good service that you offer. Help us help you Help us help you! Because we want to quickly change their complaint or exchange, we ask you to put forward the return shipping with us about. Once a badly ordered or delivered item has been, our team is looking for the right item you and you just have the number down the back of the bill as an exchange note. Please select "pay now" only after the purchase of the last item to all items auctioned to cover a show together. You can then enter the desired delivery address. Spoiler, headlights, taillights, indicators, exhausts, strut braces, springs, suspensions, coilovers, straps, shoulder pads and much more. Flying wheel hubs & momo steering wheel. High quality steering wheels, steering wheel hubs and handles for many models. K & n filters & performance kits. The highlight for athletic skiers: kah & sport air filter and 57i performance kit for better performance and fuel economy. An easier installation faster and sportier, more influence on the lists go, 20 settings possibilities! We strive constantly, our products. To describe as precisely as possible. Thank you for buying them. Your satisfaction is our dear to the heart! Therefore, they do not hesitate to. We always have an open ear for our customers. Bills: Article to be declared by us not worthy of value, or as a gift. Dropshipping: we deliver directly to your customers. Newsletter subscribe and be always in the picture! 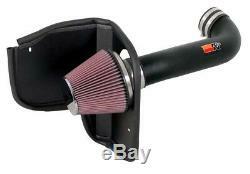 Sportluftfilter, tuning, tauschfilter, intake, kn, kit. Siehe beschreibung, auswaschbar, offen air, injektion. The item "57-1549 k & n 57i generation ii performance kit for jeep commander" is on sale since Wednesday, January 3, 2018. It is in category "auto, motorcycle parts, accessories \ tuning, styling \ air intake \ filters to air ". The seller is "bms-onlinestore" and is located in / in moers.